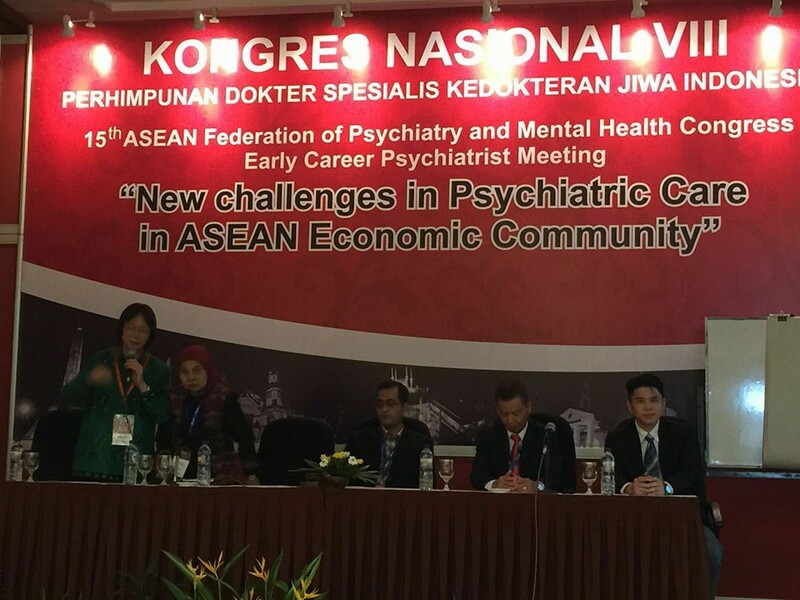 Report by Dr Robin Goh at the VIII National Congress of Indonesian Psychiatric Association and the 15th ASEAN Federation of Psychiatry and Mental Health Congress. 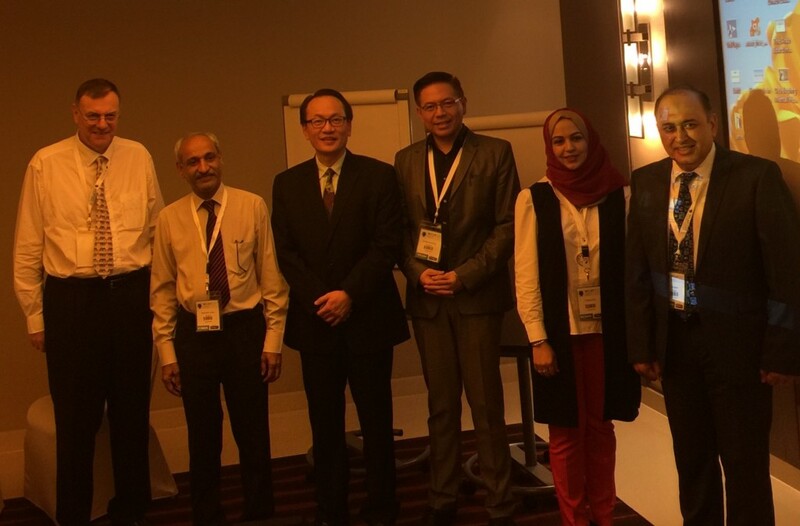 The VIII National Congress of Indonesian Psychiatric Association and the 15th ASEAN Federation of Psychiatry and Mental Health Congress was held from the 25th to 27th August 2016 at Semarang, Indonesia and I was privileged to attend the meeting in the capacity of the Vice President of the Singapore Psychiatric Association. The meeting was organized by PERHIMPUNAN DOKTER SPESIALIS KEDOKTERAN JIWA INDONESIA and ASEAN Federation for Psychiatry and Mental Health (AFPMH). 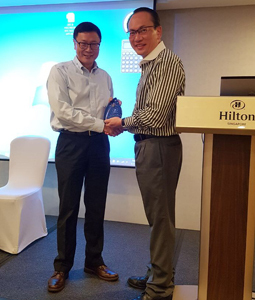 The theme for the meeting was “New Challenges in Psychiatric Care in ASEAN Economic Community” and was chosen to meet the learning, networking and latest needs of regional psychiatric services. Dr. DanardiSosrosumihardjo, Sp.KJ(K), the President of Indonesian Psychiatric Association and the President of AFMPH welcomed the delegates from ASEAN countries to the meeting on the first day with an elaborate ceremony consisting of Indonesian dance and music.There were different tracks in the program to meet the needs of the participants. Examples of the tracks included Alcohol and Substance Abuse Disorder, Biological Psychiatry, Community Psychiatry, Consultation Liaison Psychiatry and Forensic Psychiatry etc. I was invited to give a sharing on Singapore’s approach in reducing the treatment gap of mental disorders. Delegates from Indonesia, Philippines, Vietnam and Malaysia also share their countries’ endeavors in addressing this issue. Some of the common themes echoed from them werethe difficulties in translating a lot of their governments’ healthcare policies due to the size of their country, the geographical barriers and the level of literacy. Singapore was privileged in comparison as we do not face such difficulties but there was still more work to be done to improve mental health awareness. 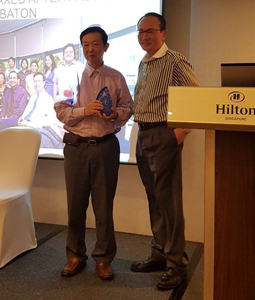 The meeting provided an excellent platform in getting to know the leaders in the ASEAN Psychiatric community as well as create more awareness for the need to do more for mental health. The meeting ended with the formal passing of the host country from Indonesia to the Philippines for the 16th ASEAN Federation of Psychiatry and Mental Health Congress. As the President of the Singapore Psychiatric Association (SPA), I was invited by Prof AfzalJaved, the Congress Director of the 6th World Congress of Asian Psychiatry (WCAP), organized by the Asian Federation of Psychiatric Associations (AFPA) to be a co-chairman as well as a presenter at the session on ‘Community Psychiatry’ at the above conference held in Abu Dhabi, United Arab Emirates from 24 to 26 March 2017. 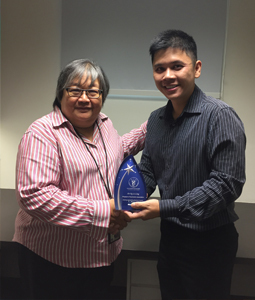 I presented the topic of ‘Frequent Visitors to the Emergency Services (ES) of the Institute of Mental Health in Singapore’ at the conference. This oral presentation explores the ES staff perceptions of the reasons for frequent visits. Frequent visit was defined as five or more visits in a year. The top 3% of users accounted for 16% of service use. Frequent users were more likely to have a diagnosis of a psychotic disorder, personality disorder, or alcohol use disorder. Service provider groups (physicians, nurses, and assistants) described similar groups of frequent users and noted that frequent use was related to lack of social supports outside the hospital and feelings of belonging within it. The service providers’ perspectives highlight how societal pressures influence the way in which individuals with mental illnesses use services. There were a number of plenary lectures in this conference. The first plenary was by Prof Shigenobu Kanbu (Japan) which touched on the phenomenon of ‘Hikikomori’ in Japan. This type of depression is commonly seen in younger people who express chronic fatigue and loss of interest in work and dislike to be confined into rules or morals. There was a joint symposium on ‘Developmental Disorders’ which discussed about developmental disorders and offending as well as the role of pharmacological interventions in Autism Spectrum Disorder. The speakers emphasized on the need for comprehensive assessment, working with the family and the individual and the importance of non-pharmacological (mainly behavioral approaches). When medication is indicated, they should be started at low dose and titrate gradually as persons with ASD are more sensitive to side effects. There was a number of lectures on well-being, mental capital and the need for building strength and resilience which include supported employment, debt interventions, housing improvement and even availability of green spaces (such as community gardens for physical activities and exercises). The emphasis on enhancing mental capital and intervention which address inequality also promote population mental health, prevent mental ill-health and promote recovery. Enhancing individual competence and self-esteem increases perception of personal control and has positive effect on health and other domains. As SPA President, I also attended the AFPA Board Meeting held during the conference.